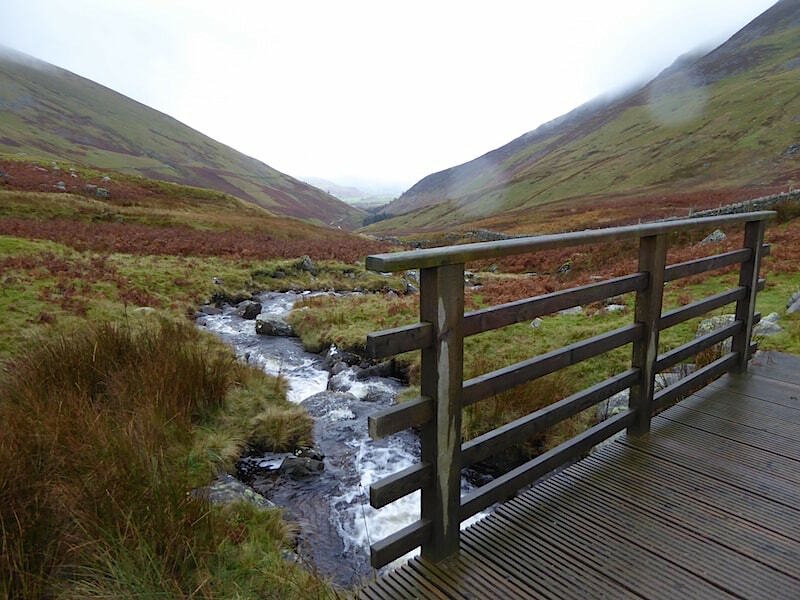 It wasn’t day to be out on the high fells as you will see from the following photos, so we decided on a lower level walk alongside the Glenderaterra beck. 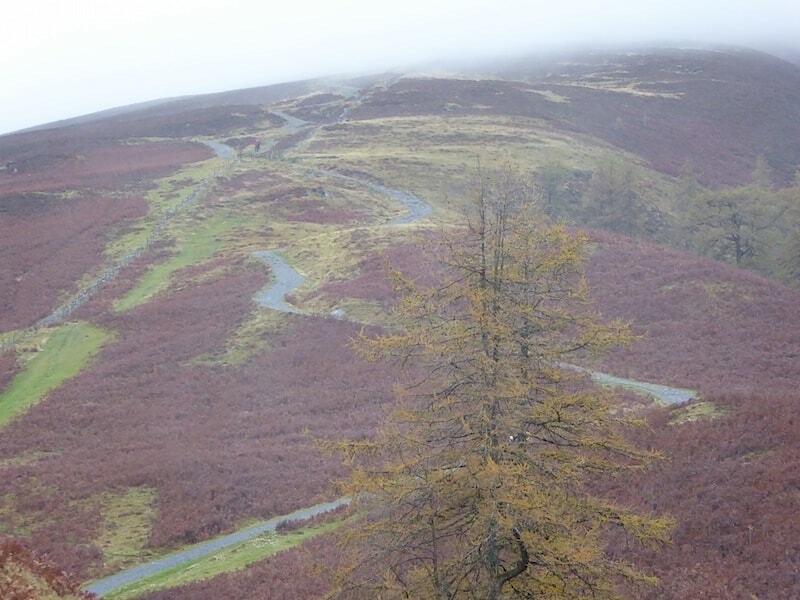 The light was poor thanks to the very low cloud so the photographs suffered and I thought twice about adding this walk. 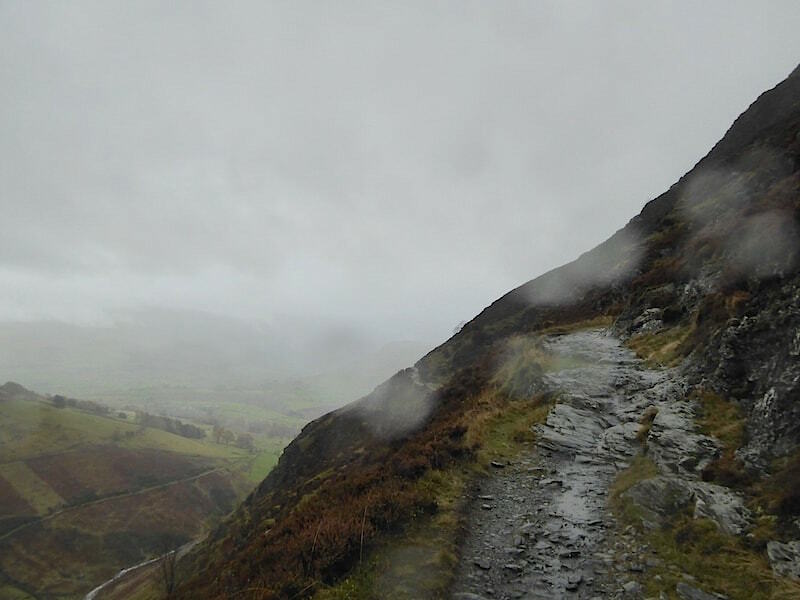 In the end I decided I would include it if only to give some idea of the conditions and what the Lake District looks like on a really dismal day. 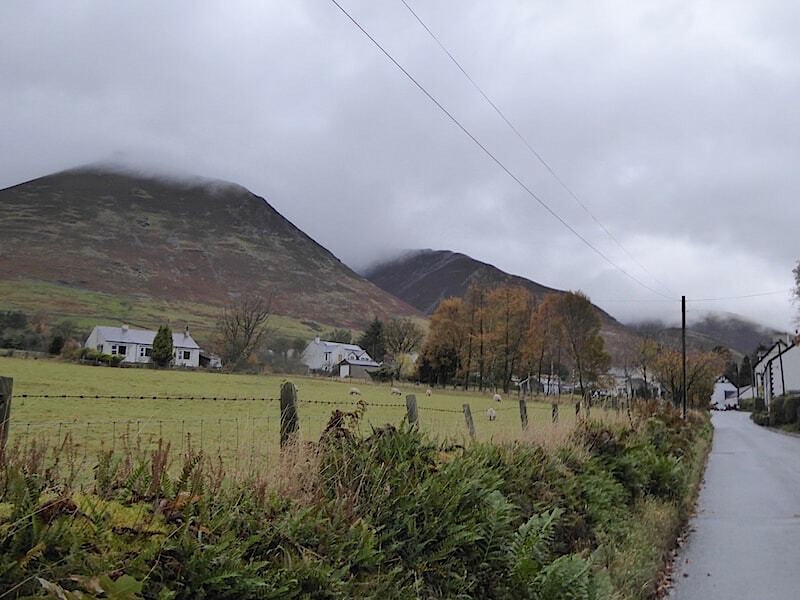 From the lane out of Threlkeld, where we were parked, this view of a cloud covered Blencathra sets the tone for the day. 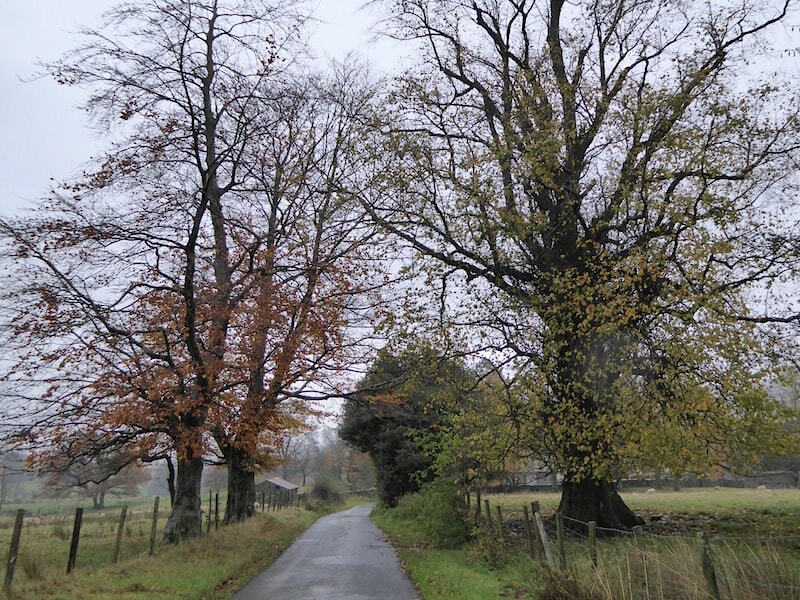 At least at ground level there was the consolation of a quiet lane and autumnal trees. 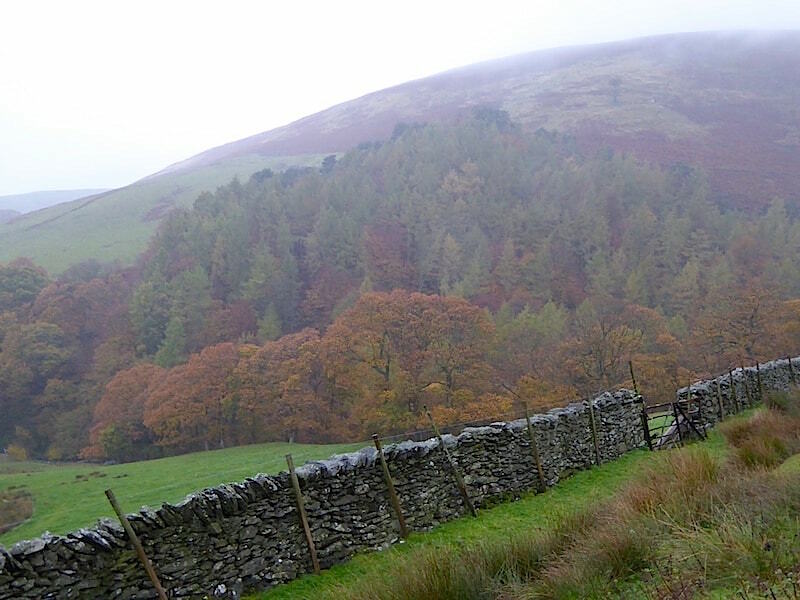 Here’s where we take a right turn to the lower path along the side of Blease Fell. 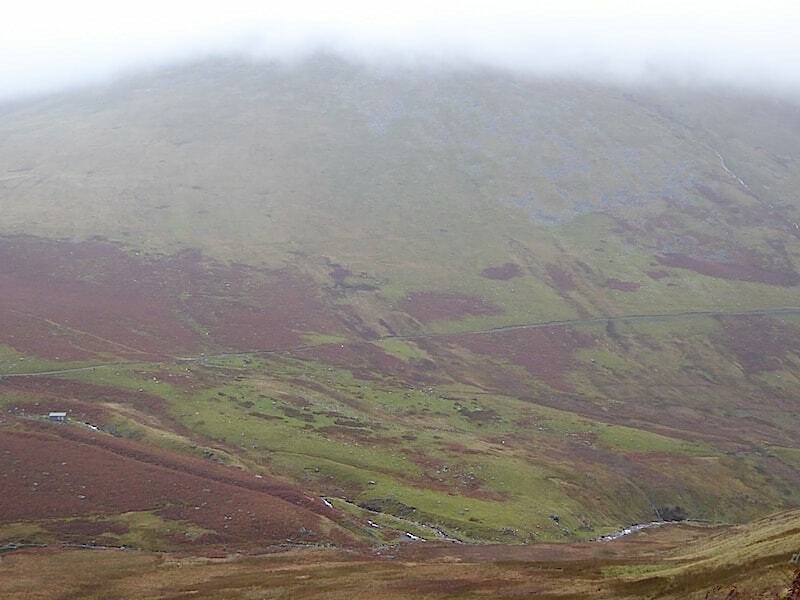 Part of Lonscale Fell is visible directly in front. 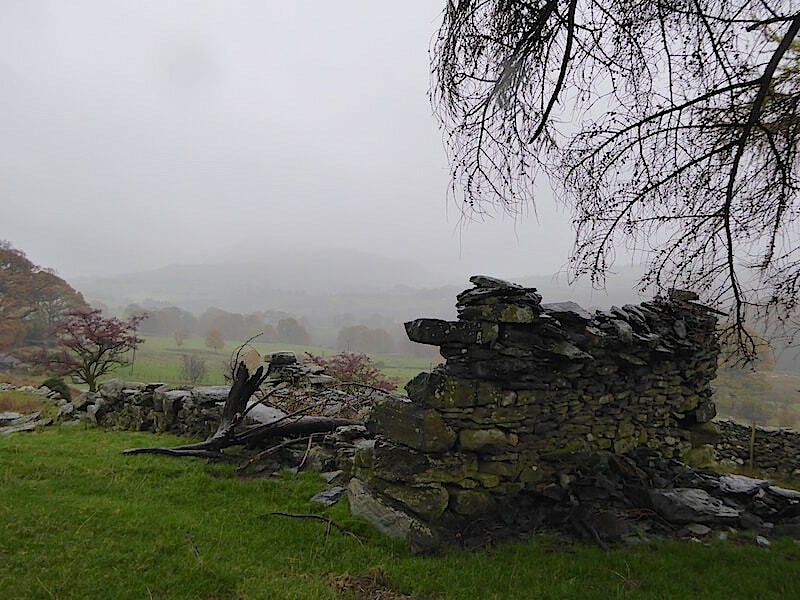 A little further on from the gate was this derelict farm building and a sombre view of more low cloud. 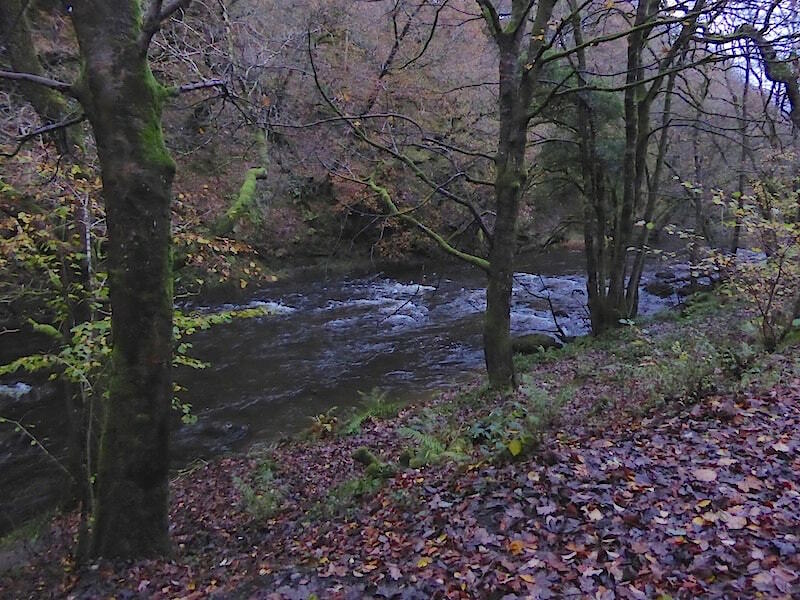 This picture doesn’t do justice to the lovely colours of the woodland just across the beck. 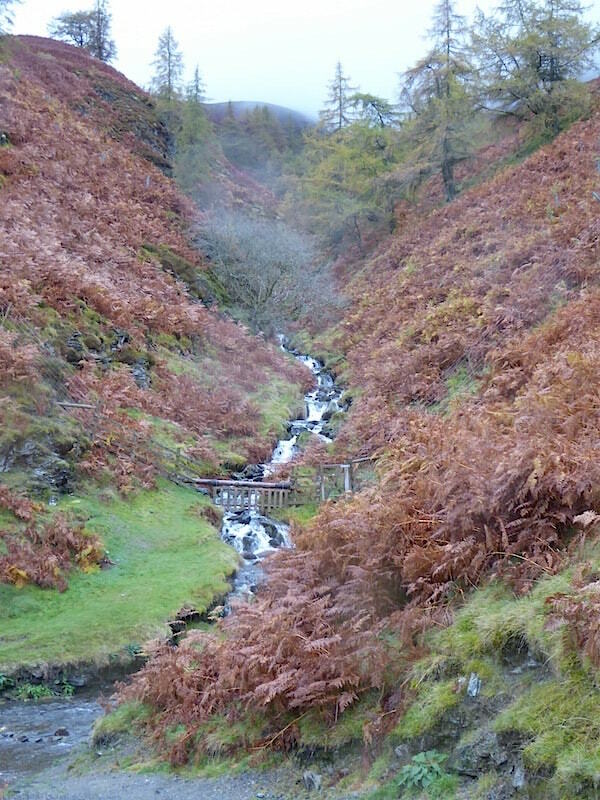 Looking upstream at the Glenderaterra Beck which was thunderously noisy, even from up here. 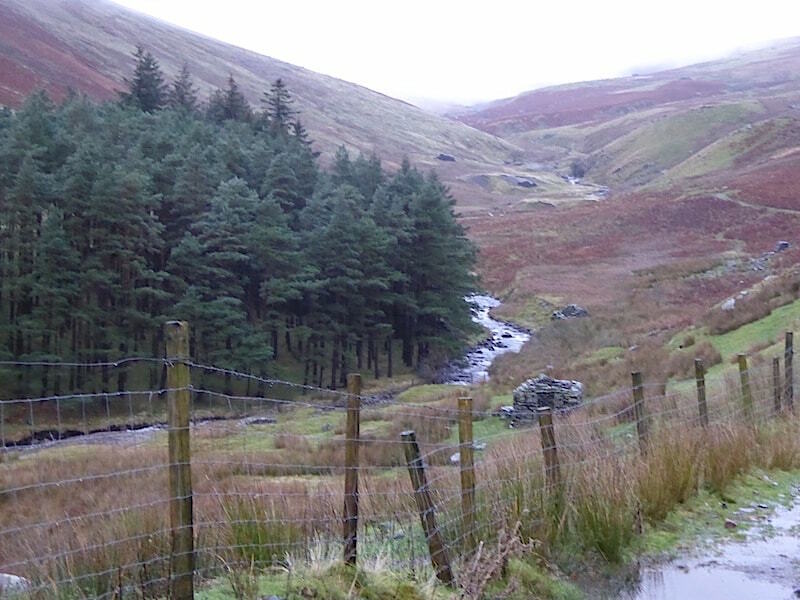 The view up the valley. 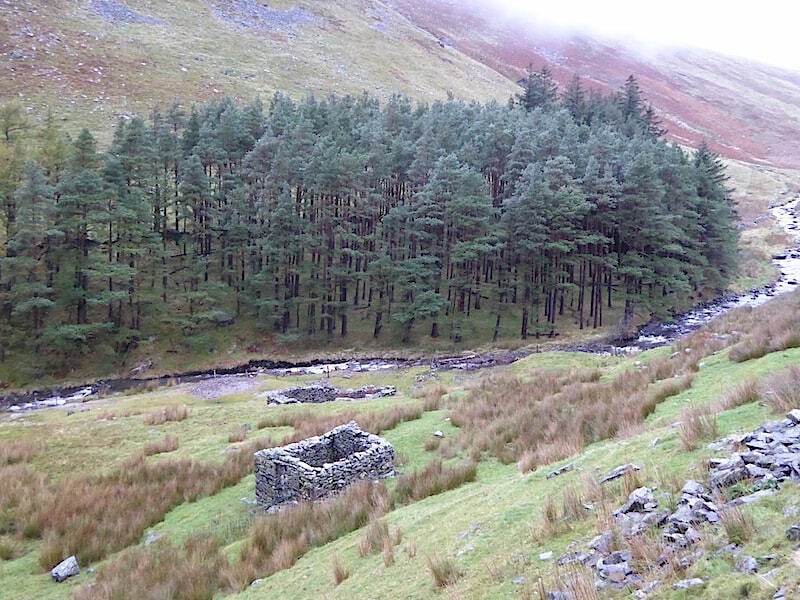 A couple of derelict farm buildings on the valley side. 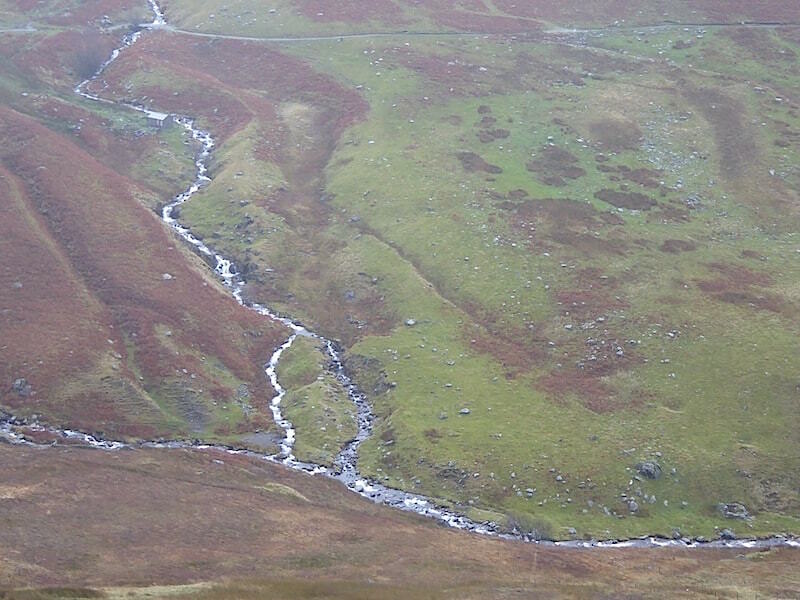 The beck churning its way downstream. 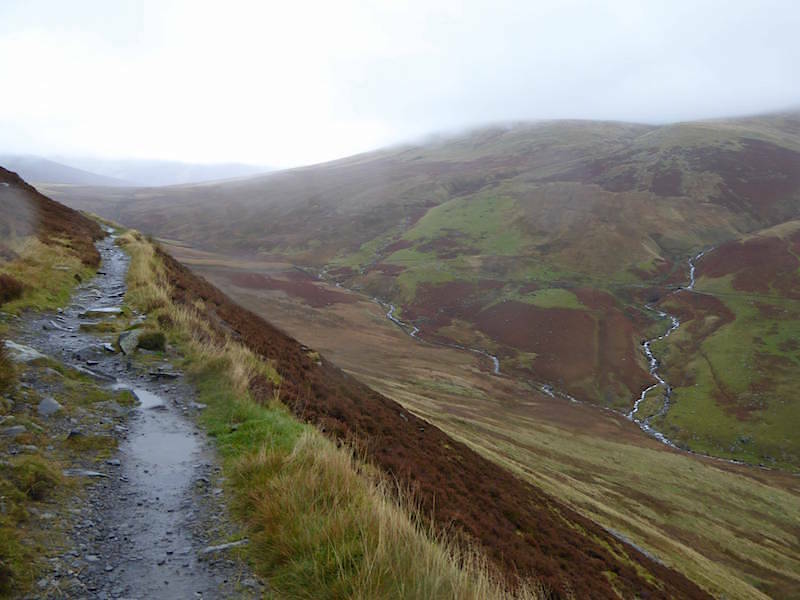 The lower path ended at this point so it was back up the fell side to join the higher one. 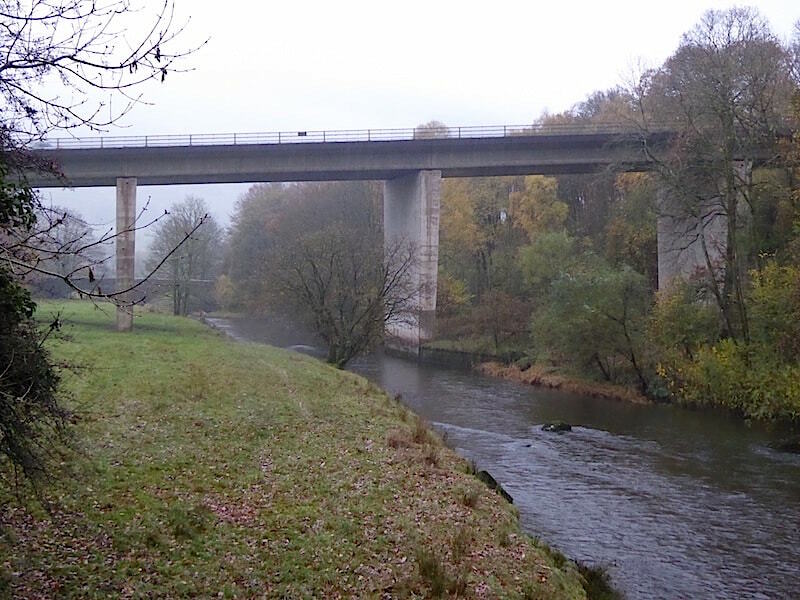 The stonework in the opposite bank made us think that it may once have formed part of a bridge abutment and perhaps there used to be a crossing just here. 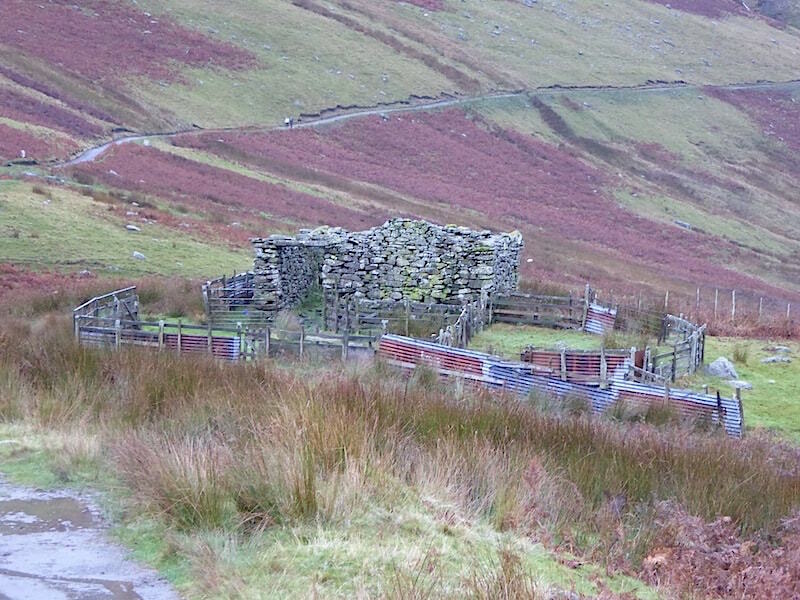 It may be a bit run down but this sheepfold came in handy for a short break. 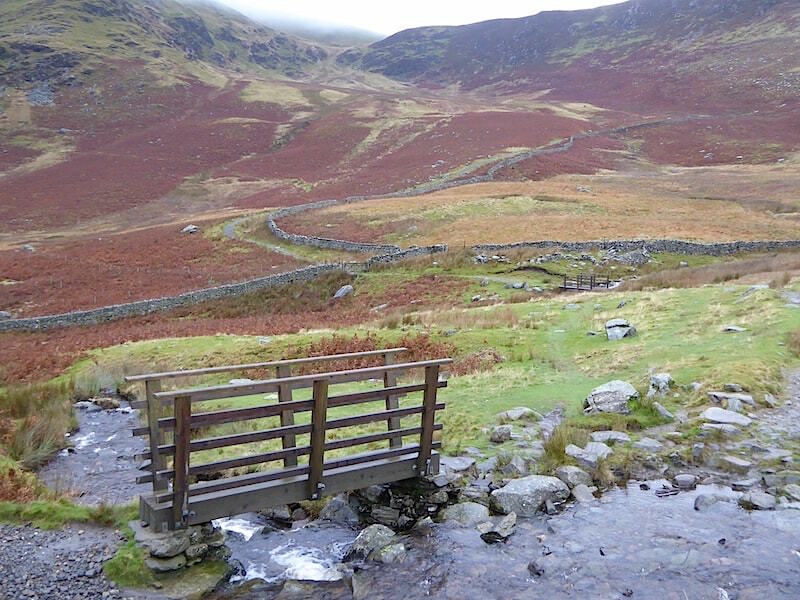 Shortly after crossing the two bridges in the photo we turned left to pick up the path along the side of Lonscale Fell. 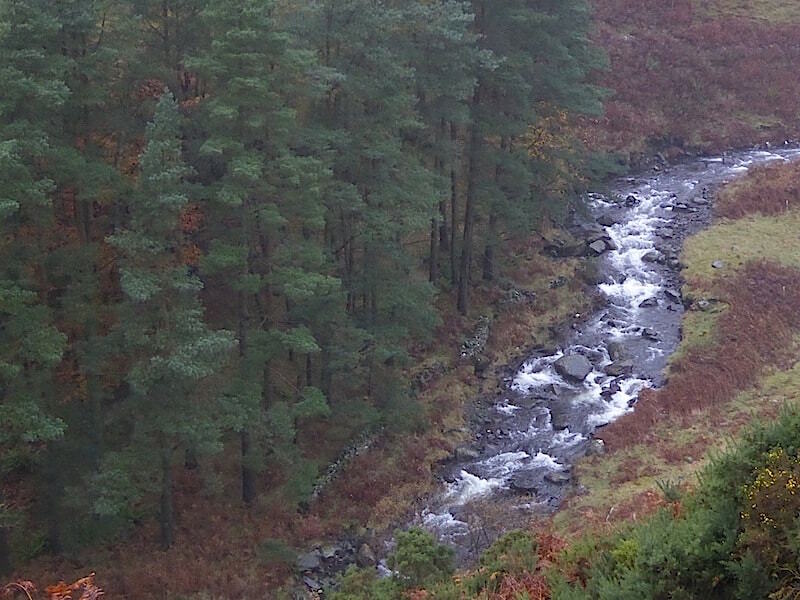 Its raining again as we take in the view down the valley from the second bridge crossing. 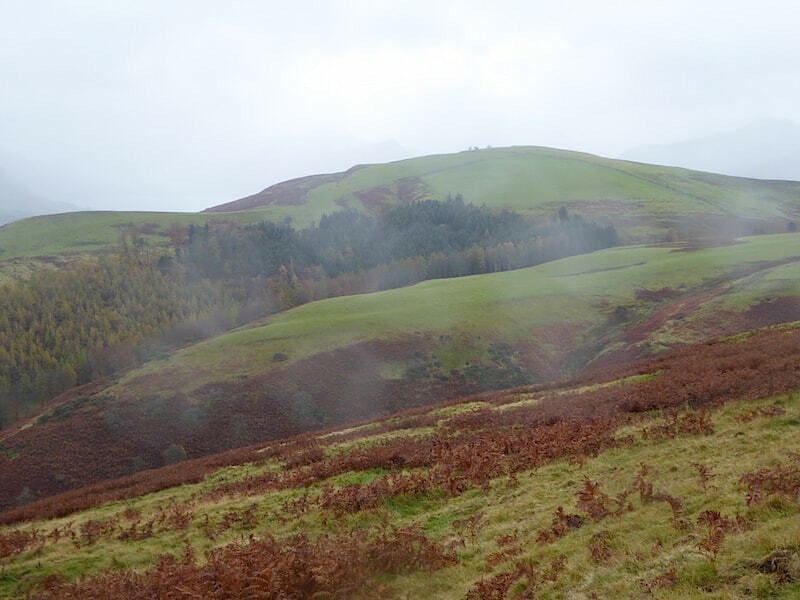 Now to pick up the path across the lower slopes of Lonscale Fell, the summit of which is somewhere up there in the murk. 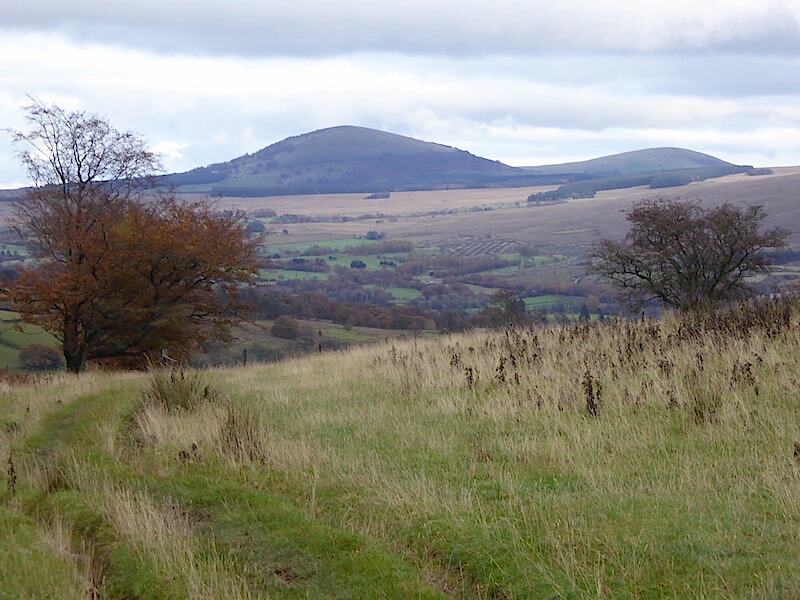 Looking across to the Blease Fell side of the valley. 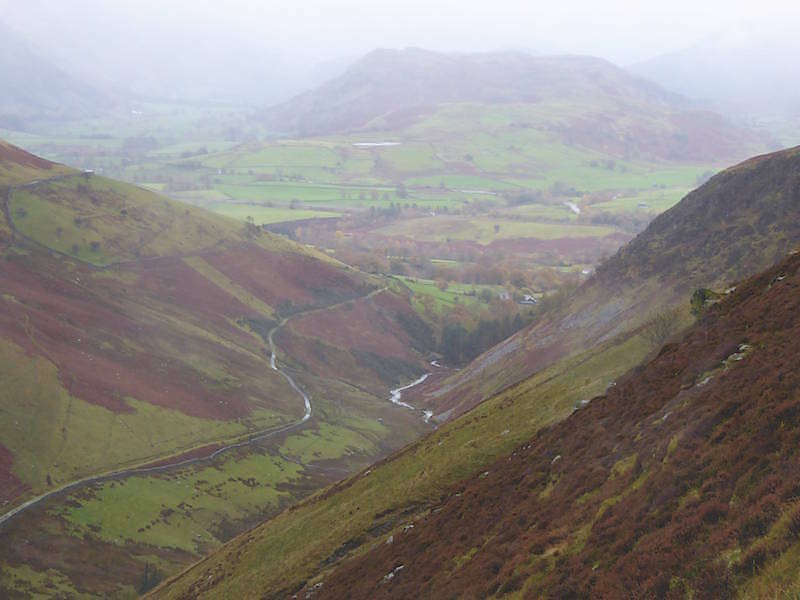 A look back up the valley again, now we’ve reached the main path on the slopes of Lonscale Fell. 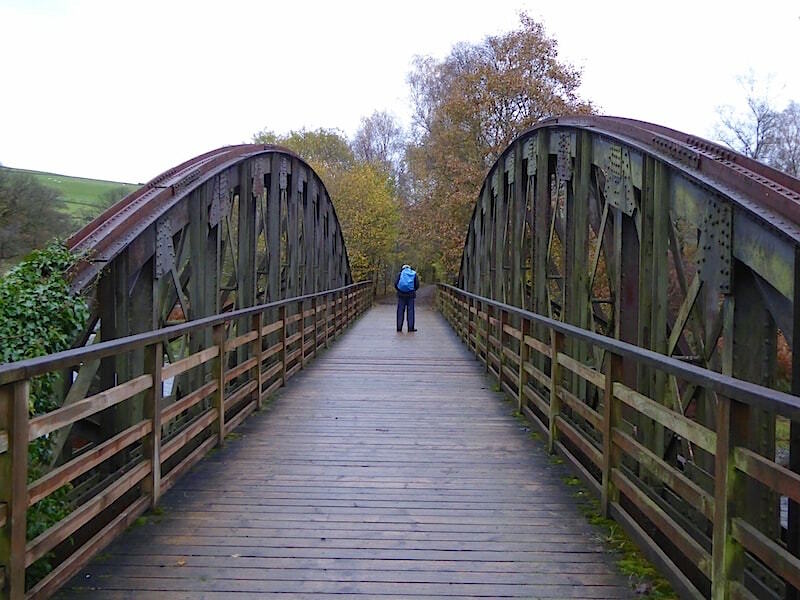 The right hand path is the one we have just followed from the bridge crossing points. Plenty of white water in the becks today, there was so much water everywhere it had taken over the paths as well. This is an improvement, we can now see Tewit Tarn and Low Rigg for the first time today. Another look back up the valley where it seems to be getting brighter, or is that just wishful thinking? 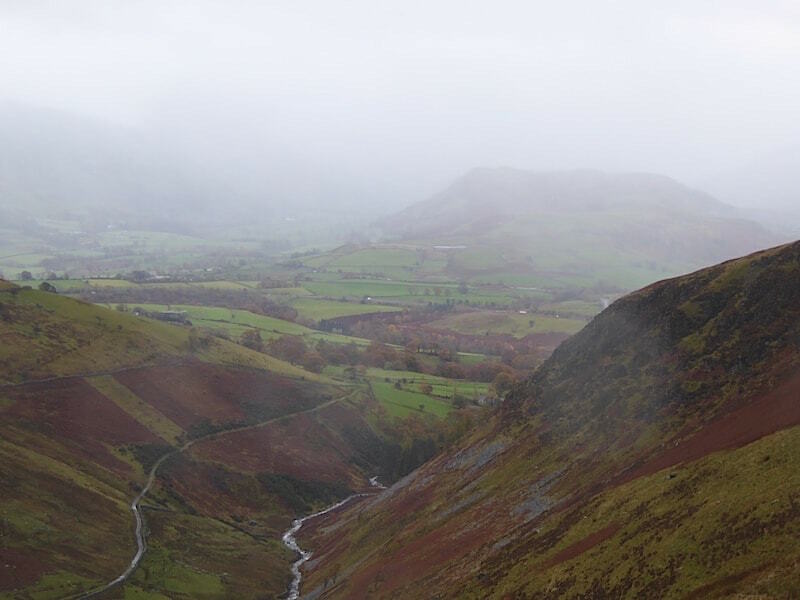 Looks like Low Rigg might be about to be hidden again. You can just about see a bit of the Dodds over on the left if you look hard enough. 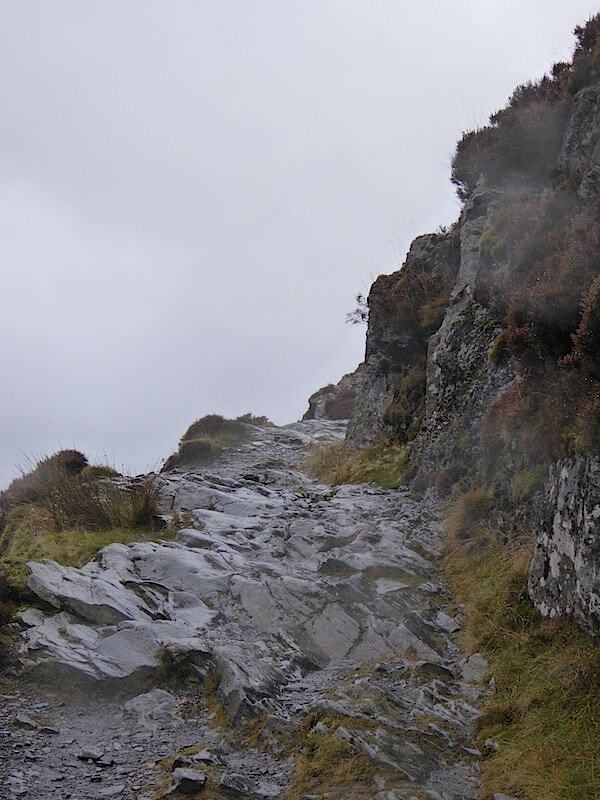 Lonscale crags needed plenty of care today as they were extremely slippery, and, as you can see from the previous photo, its a long way down and a bit chilly for an early bath. 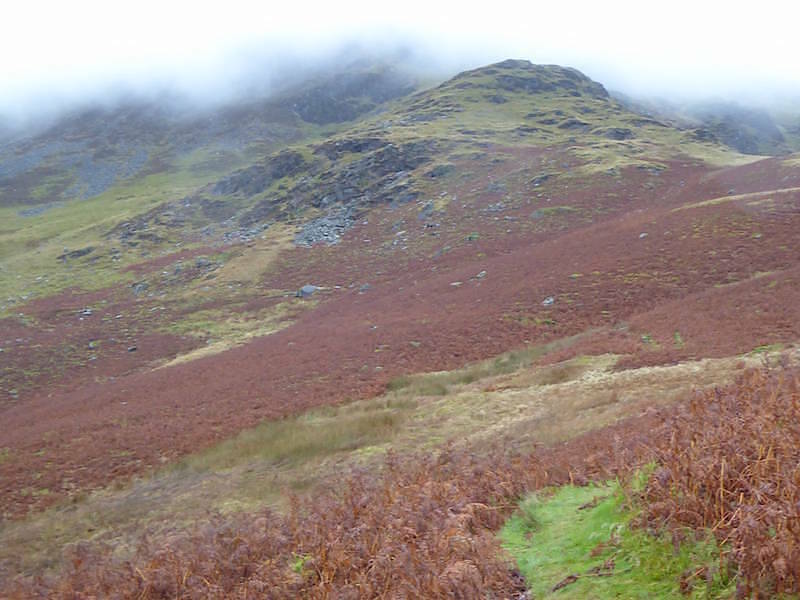 Another section of the very slithery crags. 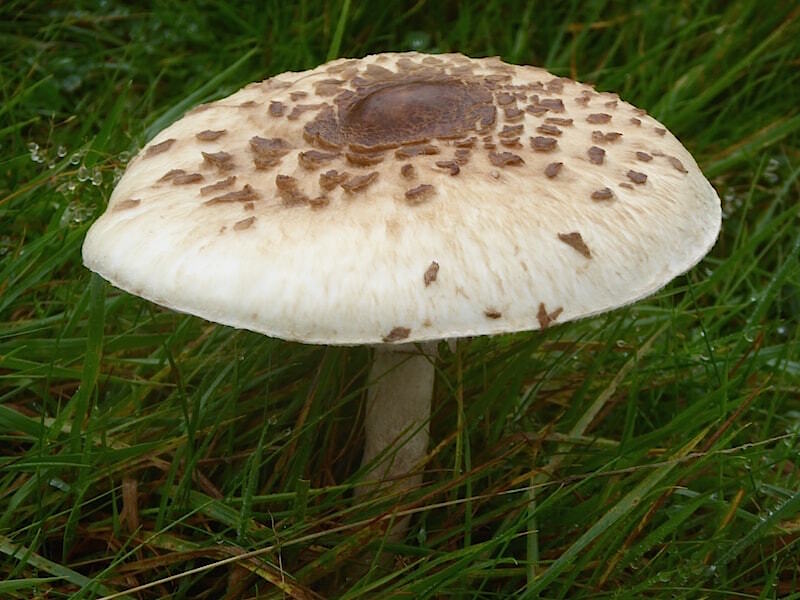 This fungus must like the conditions on the side of Lonscale Fell because there were several of them around. 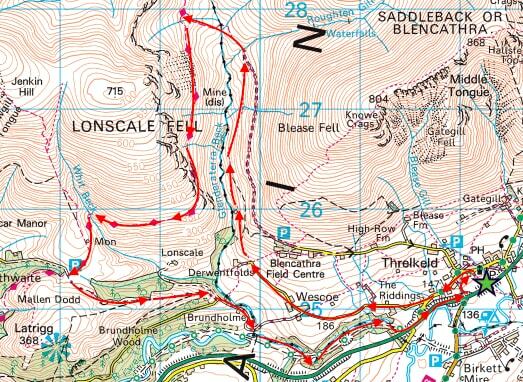 We’re down from Lonscale crags and about to cross Whit Beck. 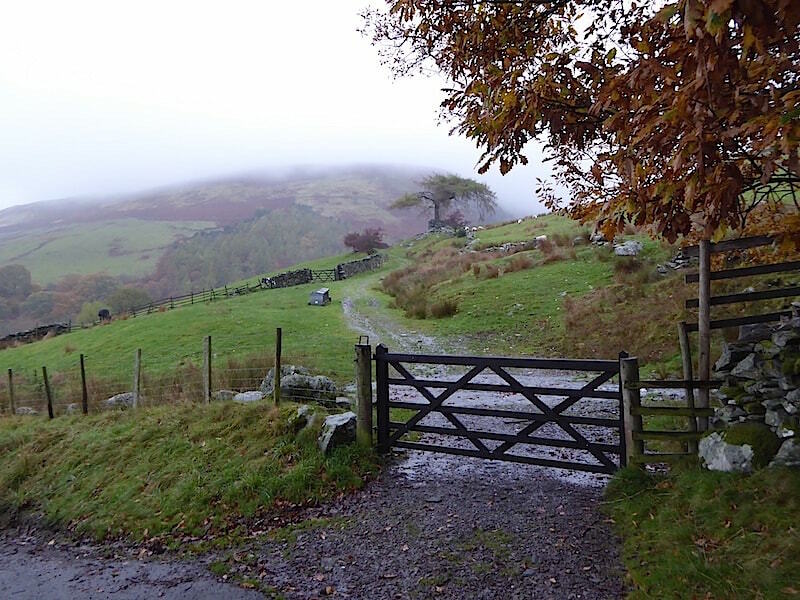 The little fence across it is to stop the sheep wandering where they shouldn’t. Looking back down the path rising from Whit Beck. 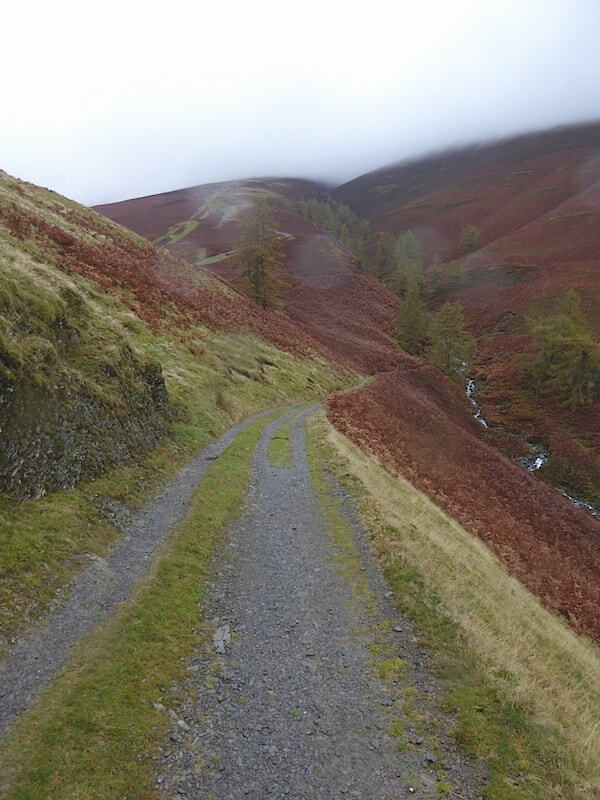 The path up to Skiddaw can be seen through the dead bracken beyond. 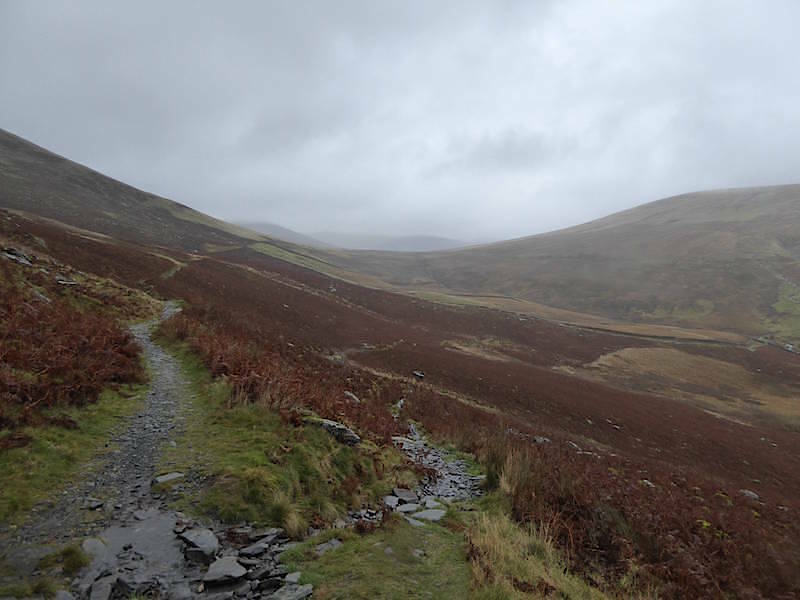 A closer view of the path up to Skiddaw which I think is one of the most tedious routes you can take up to the summit, being nothing but a long and dreary trudge, in my humble opinion. There were people on it but they can’t have had much of a view today. It looks to be a bit brighter now over Clough Head and the Mell fells. Approaching the Gale Road car park there is a clear view of Barf and Lord’s Seat, with Bass Lake just peeping out to the right. 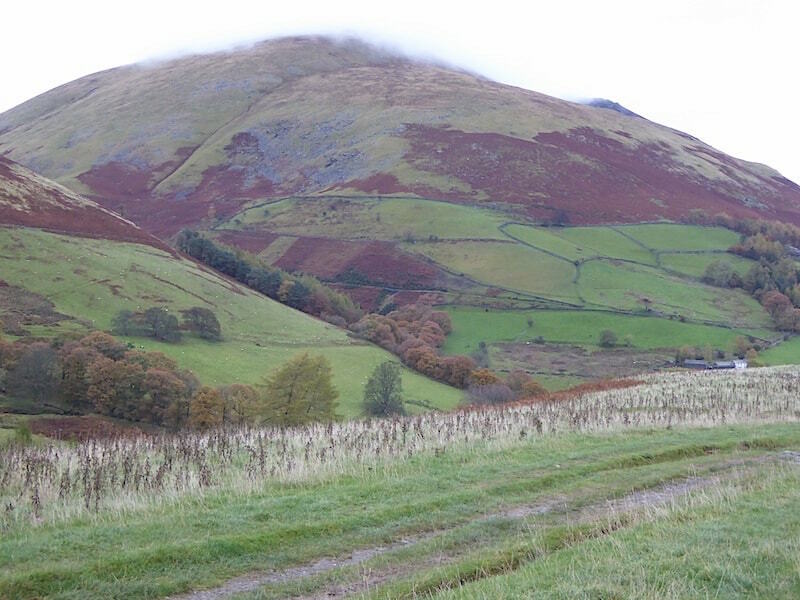 We didn’t bother continuing over to Latrigg when we reached the car park, we decided instead to turn left and aim for the old Keswick to Penrith railway path for the walk back to Threlkeld. 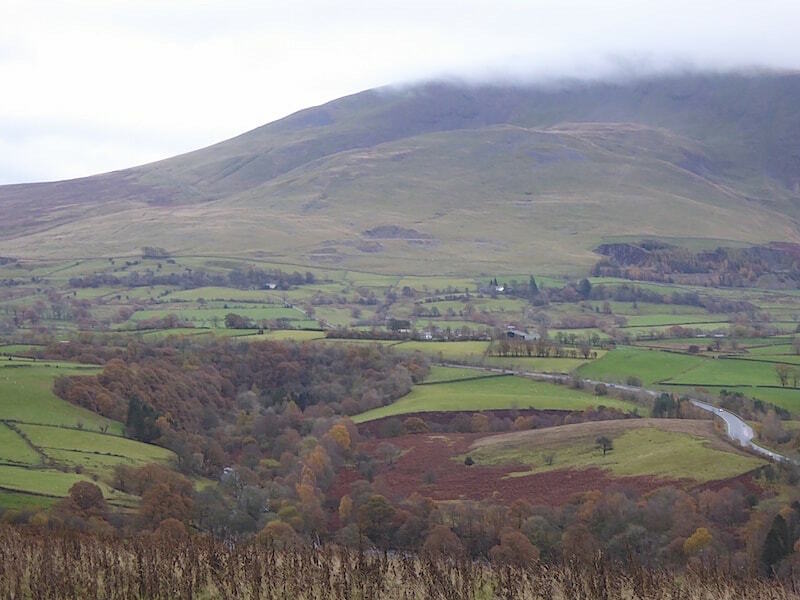 At last it has stopped raining and the Mell Fells, which couldn’t be seen at all from the A66 when we drove past them this morning, are now free from cloud. 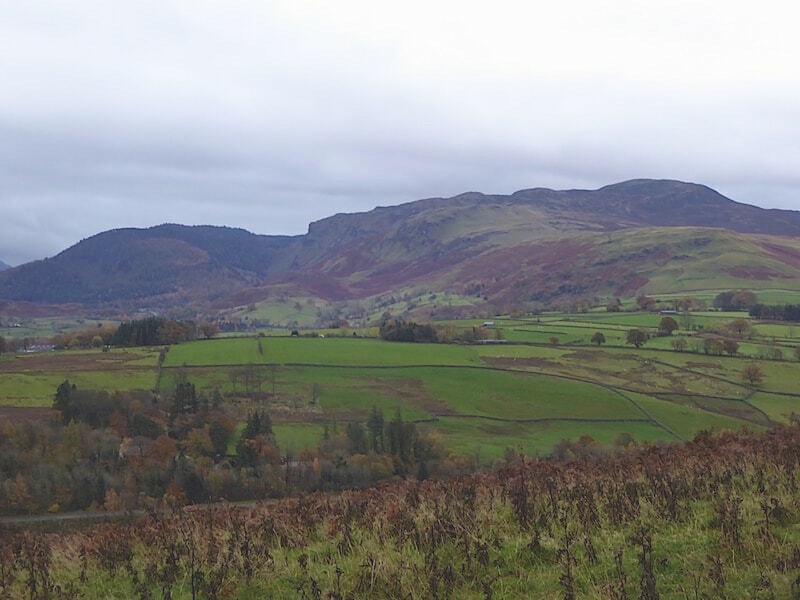 The first clear view today of High Rigg, with Bleaberry Fell behind it, from the lower slopes of Latrigg. 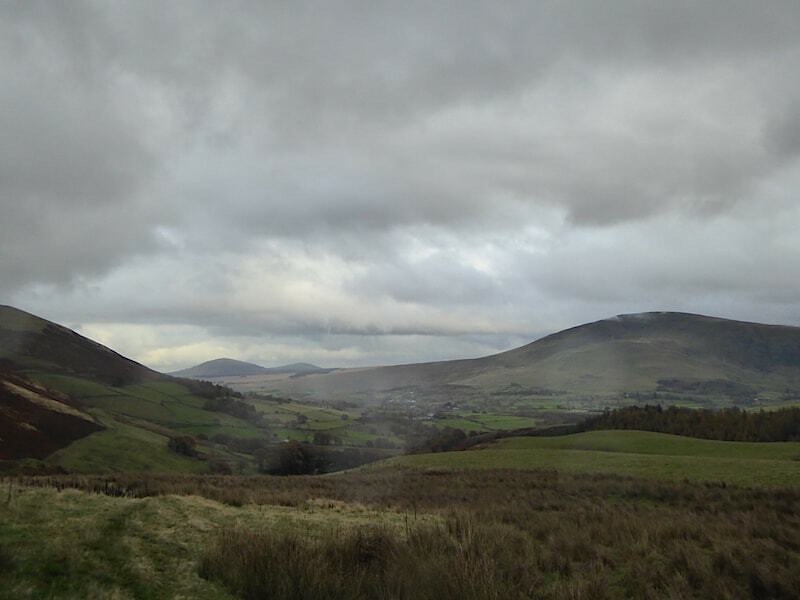 The cloud returns to Clough Head. 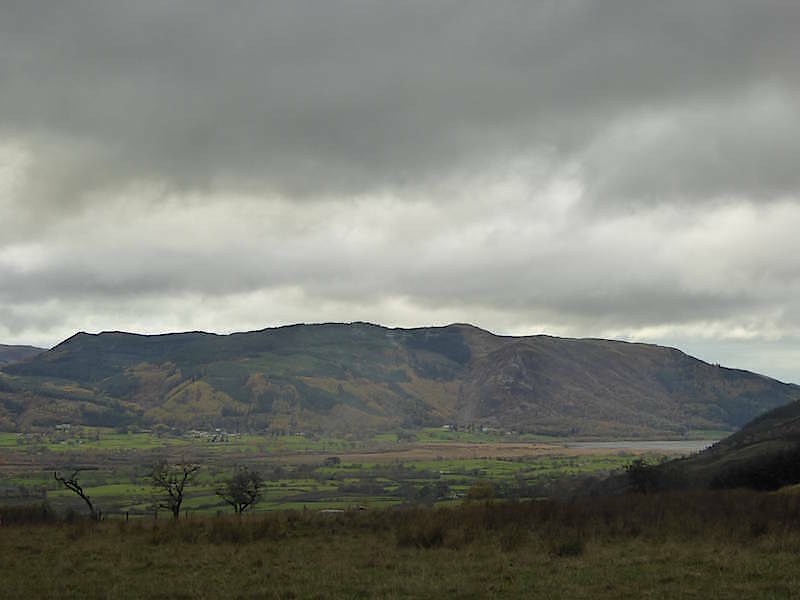 The cloud has retreated a little and this is the clearest Blease Fell has been all day. 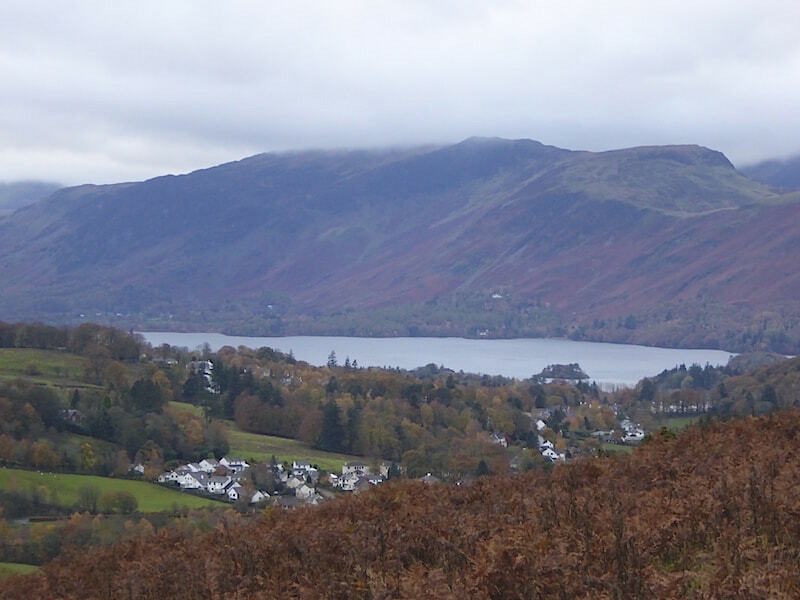 Maiden Moor across Derwentwater and Keswick, didn’t think we’d see that at all today. 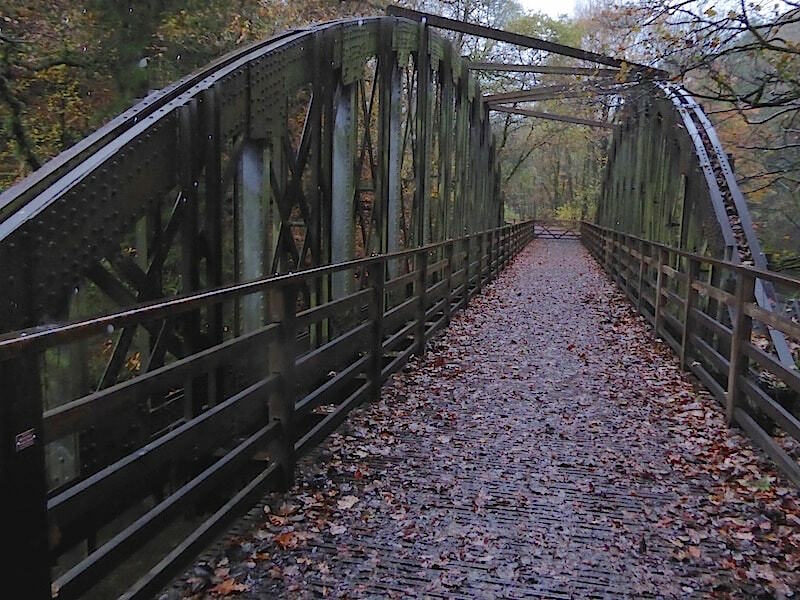 The afternoon light, what there was of it, was beginning to fade so the shot of the old railway bridge isn’t as bright as it might have been. It was a bit brighter when we got on to the bridge. 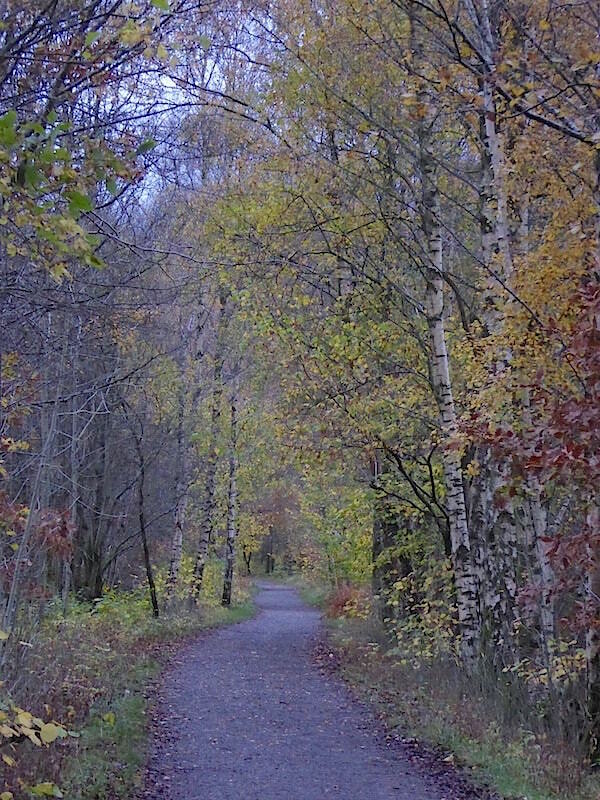 Following the old railway track through the woods. 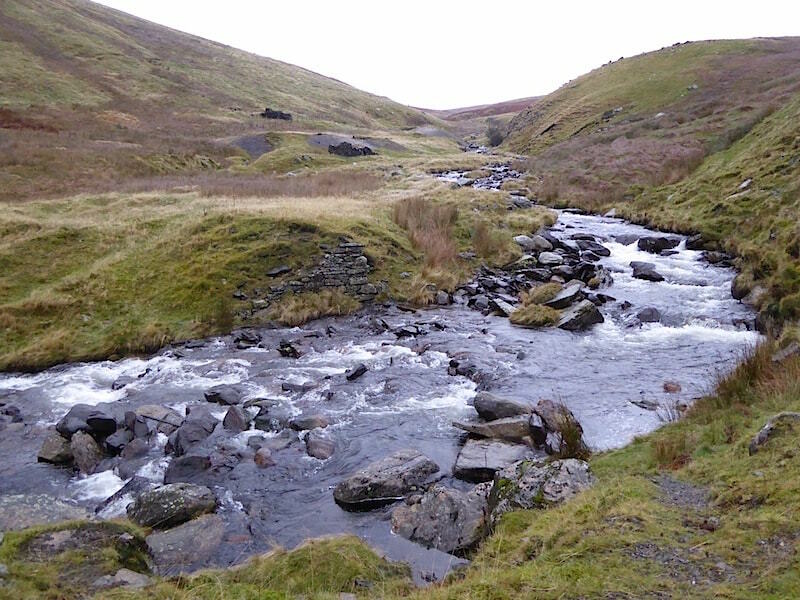 It was very pleasant walking along with the river gurgling merrily on its way on the left of us. We’re in the gloom again as we go through the tunnel and then over another bridge. 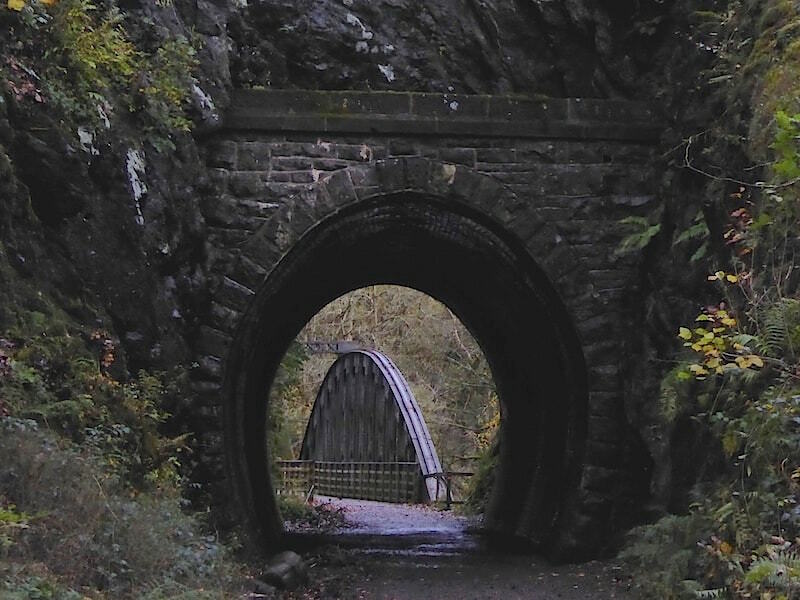 Another old railway bridge beyond the tunnel. Not only is the daylight fading but more heavy cloud has moved over us making what was a tranquil scene look quite menacing. 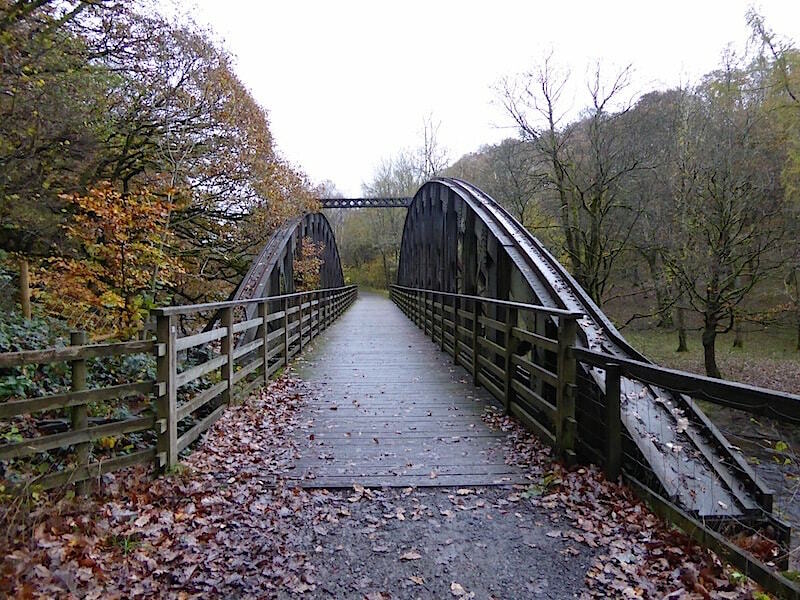 Over the third and final railway bridge and the end of the railway path. 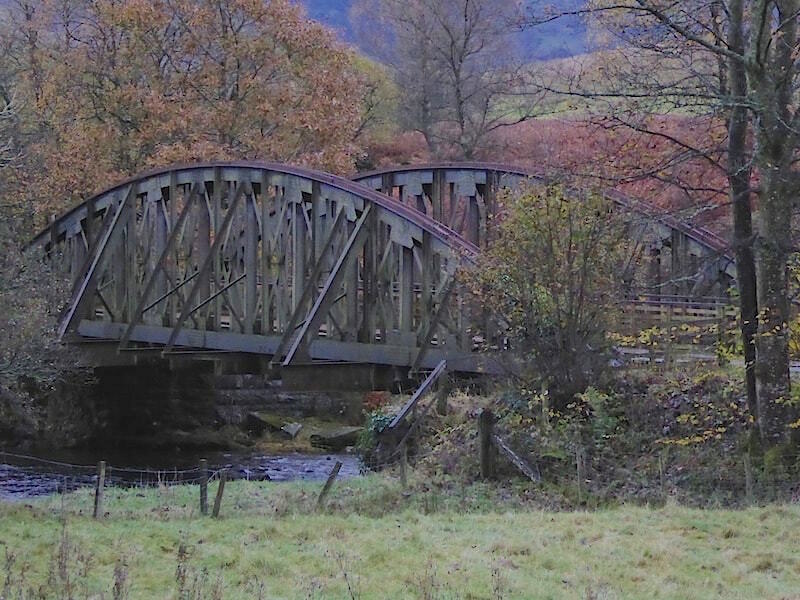 From the last railway bridge there is this view of the A66 bridge near Threlkeld. A lucky shot without traffic because vehicles were constantly going across it. 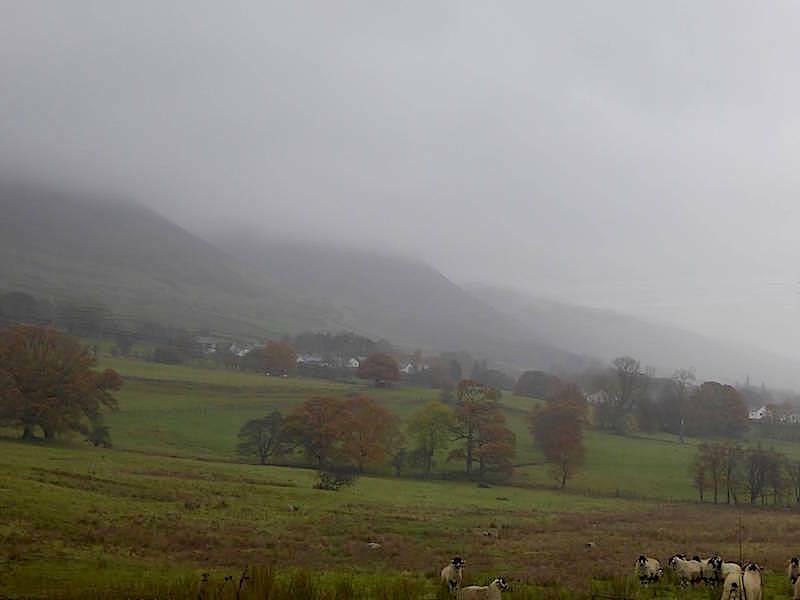 We’re back in Threlkeld and this is the view of Blencathra from the lane. Things haven’t improved much since we started out from here this morning. Never mind, we’ve stretched the legs, enjoyed some fresh air and had a good walk, sunshine would have been a bonus.